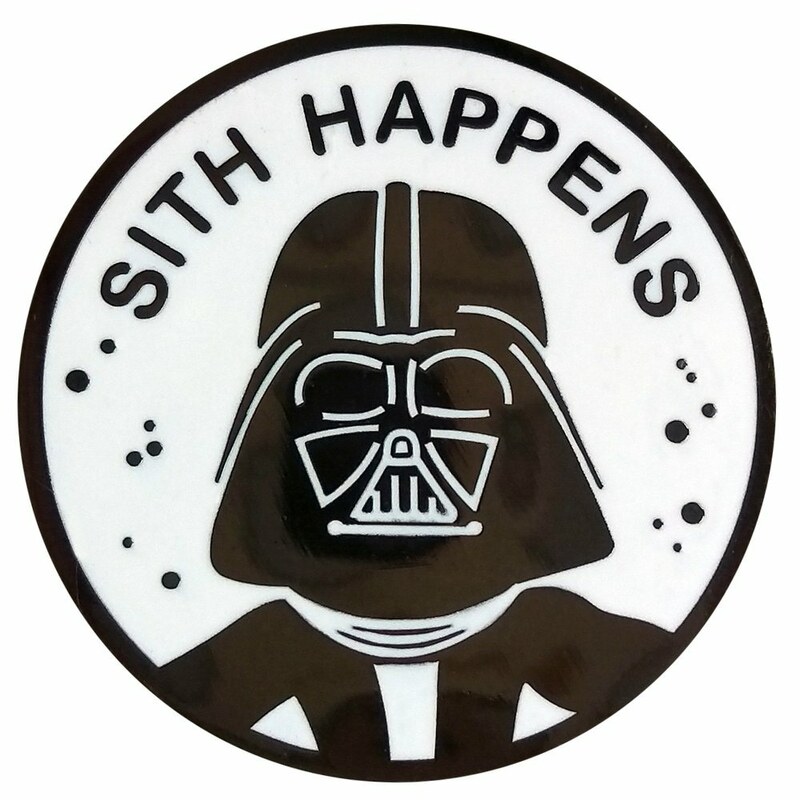 After May the Fourth Be With You and Revenge of the Fifth, it’s time for Si(x)th Happens. Ron Cobb created this “insectoid” ornithopter for an early attempt to make a Dune movie. That film did not materialize, however; instead we got very different and quite jumbled movie some years later. Anyhow, this is a beautiful flyer that I’d love to see in some other setting. 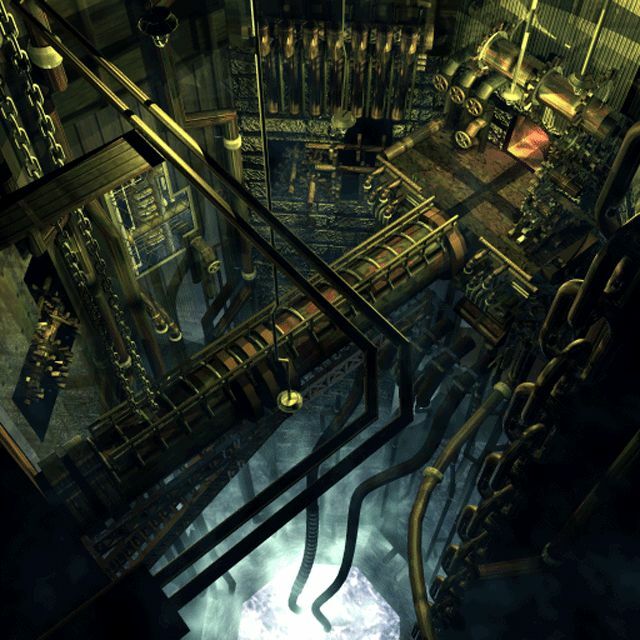 It would for example fit nicely in my baroque-futuristic Wolframfästet (The Tungsten Citadel) RPG milieu, in which the Earth is a worn-down desolation. 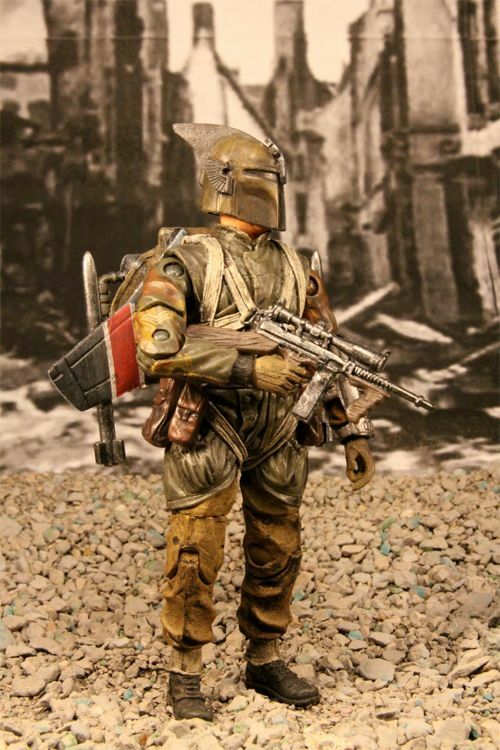 A dieselpunk/Star Ears crossover model of Boba Fett. Artist unknown. Click on the picture for a larger version. The adventurous Jedha City, painted by Andrée Wallin. Click on the picture for a much larger version. When a year approaches its end, it is tempting to summarize it in a few bullet points. So here are my significant SF/fantasy/RPG experiences in 2016, listed in chronological order. Collaboration of the year: Gustaf Gadd and I wrote Skymningshavets gåtor, a seafaring fantasy campaign book for Drakar och Demoner, during the spring. Boost of the year: I received the Swedish RPG Dragon Award at Gothcon in April. Book of the year: I read and re-read Agent of the Imperium, an complex and enjoyable science fiction novel in the Traveller universe by Marc Miller. RPG campaign of the year: We were Pinkerton agents investigating a murder in New Orleans in early 1870. Boardgame of the year: Terraforming Mars by Fryx Games — wow! Tragedy of the year: Evert Johansson, one of my old Traveller buddies, suddenly passed away in November at age 58. Movie of the year: Rogue One. TV-series of the year: Agent Carter S1 — yes, I know it is not new, but I did not have a chance to watch it until a few weeks ago.